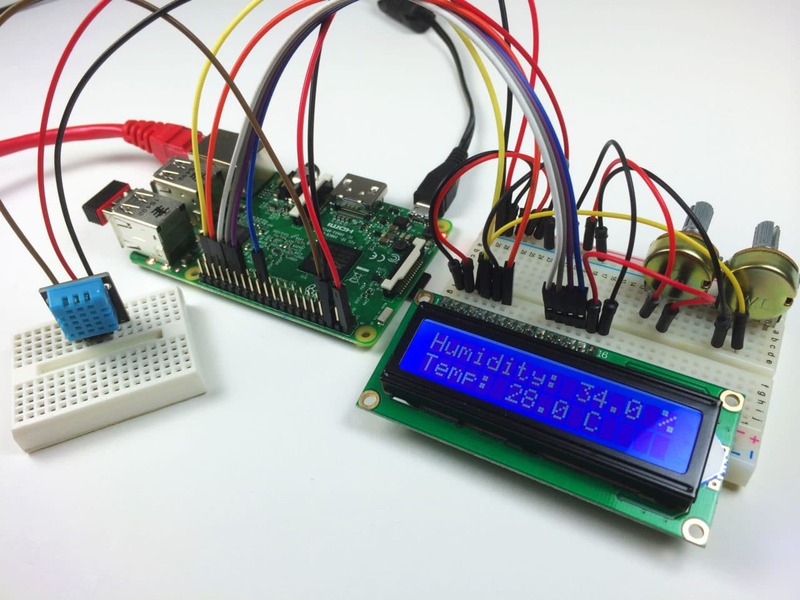 Note: This tutorial is for the Raspberry Pi 2 and earlier versions that need a USB WiFi adapter. 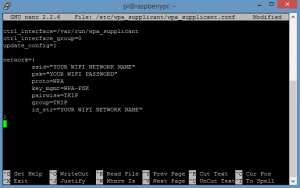 To set up WiFi on the Raspberry Pi 3, please see this tutorial. 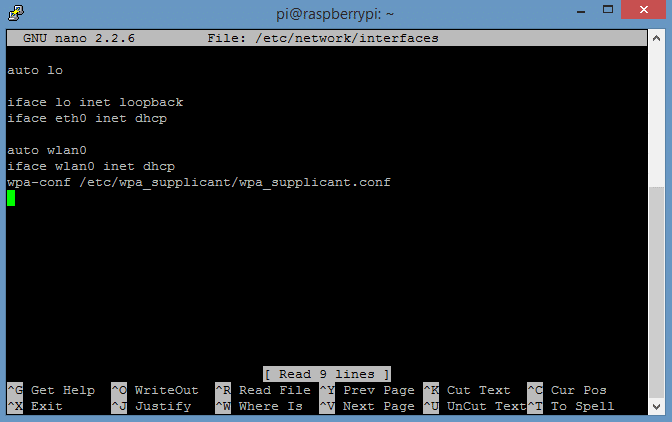 In a previous tutorial, I explained how to establish an SSH connection to your Raspberry Pi over ethernet without using an external keyboard or monitor. Connecting with an ethernet cable, is great if you want to leave it connected to your router with a physical cable. But I prefer to use WiFi, which gives me a lot more flexibility with where I can keep my Pi while it’s running. Be careful when choosing a WiFi adapter for the Raspberry Pi though, because not all of them will work out of the box. I found that this one on Amazon works great without any driver installations needed. 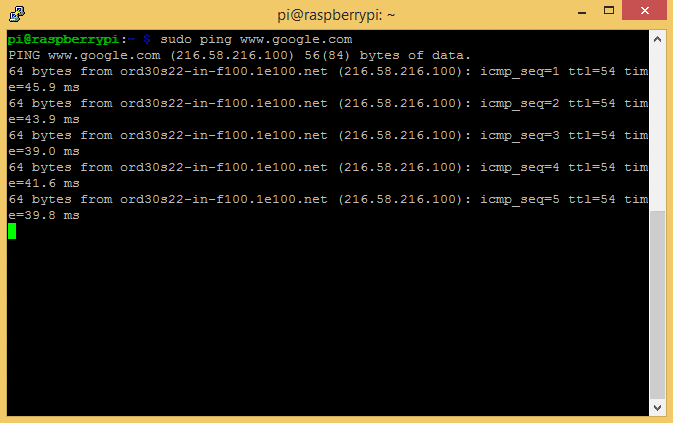 Still, there are a couple things that need to be set up for any WiFi adapter to work properly with your Raspberry Pi. I’ll go through them step by step in this article. You should already have set up the SSH connection over ethernet, as described in this post. We’ll need to change a few things in the /etc/network/interfaces file. Pro Tip: If you ever want to copy something from your laptop/desktop and paste it into PuTTY, just copy it, then right click with your mouse where you want to paste it into PuTTY. Then type Ctrl-X to exit, and Y to save the changes. The entry for ssid=”YOUR WIFI NETWORK NAME” is the name of your wireless network, typed exactly as it appears when you connect to your WiFi from another computer. The letters are case sensitive, and the ” ” marks should be left in. The entry for psk=”YOUR WIFI PASSWORD” is the password you normally use to login to the network. Re-enter your network name in the id_str=”YOUR WIFI NETWORK NAME” line. Now press Ctrl-X and Y to exit and save changes to the file. Now shutdown the Pi by entering sudo poweroff at the command prompt. Unplug the Pi from power, and disconnect the ethernet cable from your internet router. Now restart the Pi. Up to this point we were SSHing to the Pi with the local IP address on the ethernet port. 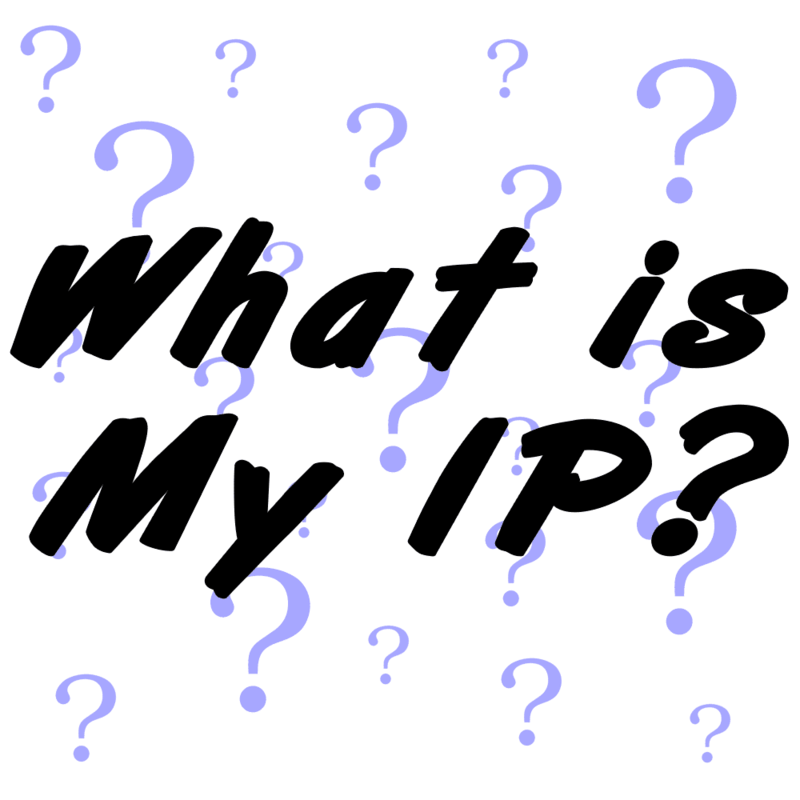 The IP will be different on WiFi, so you’ll need to use Advanced IP Scanner to find the new one. Once you get that, SSH with PuTTY using the IP address for the WiFi port. If you see something like “Link Quality=0/100” or “Signal Level=0/100” in the wlan0 section, it means the Pi isn’t connected to WiFi. Go back and make sure that you have entered everything exactly as it’s shown in the images. PuTTY is great if all you need to do is access your Raspberry Pi from the command line. 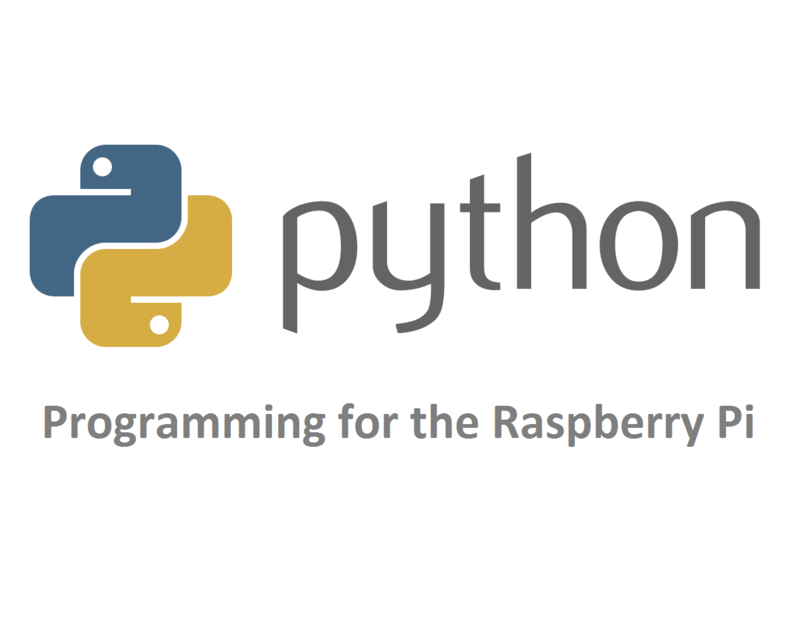 However, many features are only available through the Raspbian desktop. In order to access the desktop remotely, we need to install and configure a Remote Desktop Connection. 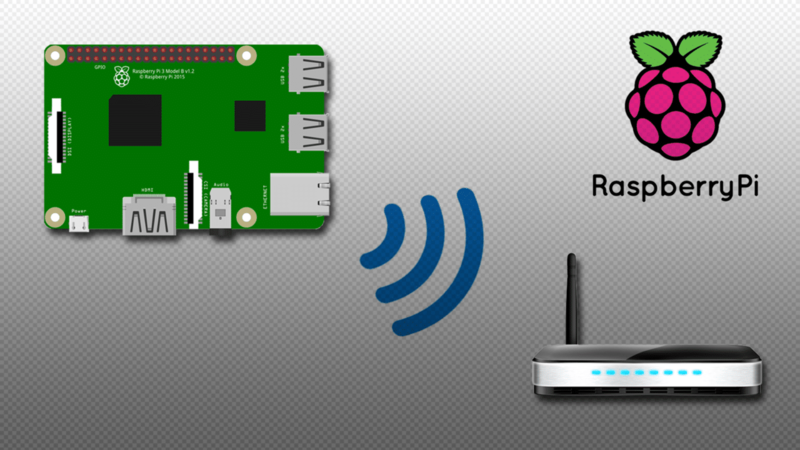 Read How to Access the Raspberry Pi Desktop With a Remote Desktop Connection for a tutorial on how to do that. Thanks for reading! Feel free to leave a comment if you’re having trouble setting this up and I’ll do my best to help you out. And be sure to subscribe to get an email when we publish new tutorials! Wonderful articles! I am waiting for the courier of my new Raspberry Pi 2. And…I have ordered a new dongle called as EDUP EP-N8553. I know that time will answer that..but do you think it will work with the above method? I am a Doctor and excited to tinker and create some wifi medical gadgets with my Pi. Great! Hard to say if it will work or not, but I imagine it will. Have fun with your new Pi! This is awesome, simple and clear, good job! These tutorials are the best. I’m not sure, it may have been an issue with my server. But by all means feel free to share any of our tutorials! Thanks! Wireless networks don’t always show up as wlan[x]. Sometimes they show up as eth[x]. A dongle should never shift from one to the other, but if yours appears to be unrecognized, see if it’s eth[x] instead. If that happened, set up your configuration using eth2 (or whatever) instead of wlan0. If you don’t plan on taking your Pi on the road, give it a static IP address. No more having to discover its IP every time it powers up or reboots. You can always do this in the Pi’s network configuration, but you might be able to have the router reserve an IP for a given MAC. If you do the former, it would be a good idea to set the router’s DHCP configuration to not assign some IPs so they can be used for static IP devices. Very grateful for this article. 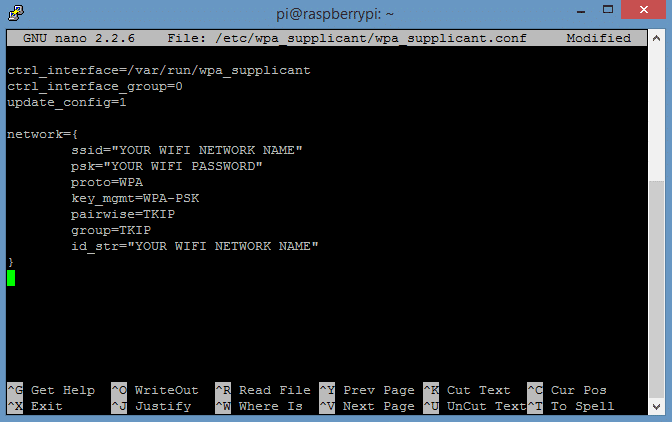 However I ran into a problem with the scan command (got the message that the device could not be scanned) and eventually followed some advice just to make a couple of lines change to the wpa_supplicant.conf file (adding the network name and password to the end of that file and leaving the other file alone). This worked immediately with my Raspberry Pi wifi dongle. 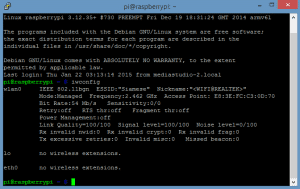 I am using the latest version of Raspian. Maybe the OS has been updated since your article, so I am just writing this here in case it’s useful to others. Your articles here and subsequently are extremely useful – thank you. I trust that I leave the quote marks on the “ssid” and “password”? After IWCONFIG, it says No Wireless Extensions…? You can copy anything from your desktop by using the usual Ctrl-C or right click and “copy”. Then to paste it into nano, all you need to do is right click your mouse and the text will be pasted in. I followed yr instructions and even though I have a NIC connection, after rebooting – no WIFI is found. Connection to 207.88.171.245 closed by remote host. What if our wifi network doesn’t need a password? Excellent article . Just as the first article on headless installation of raspbian OS . This one too rocks.!! Thanks for the tutorial. It definitely helps. Can you please tell if this wifi dongle can be set in monitor mode to sniff all the packets? The broadcom wifi chip on Pi3 doesn’t allow to be set in monitor mode. I am looking for an economical alternative. 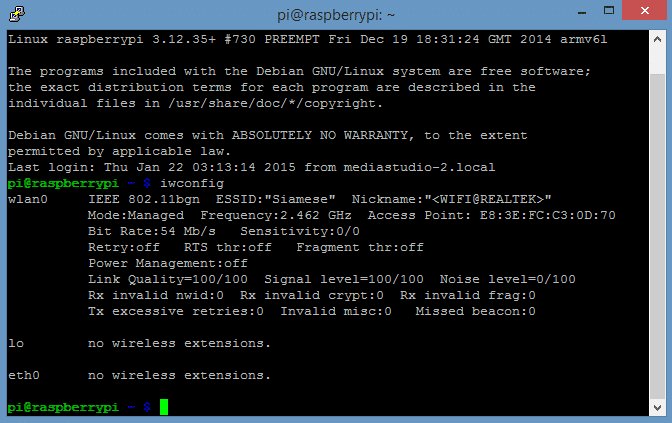 how to connect wifi on raspberry pi 3 model B? I can’t get mine to work, I’ve tried about 10 different tutorials…I can see the wifi ESSID that I need, I tried this back and forth and I can’t figure it out. I am having the same issue; i.e. I can see our network but never get a connection with the latest version of Debian –> Jennie. I did try the older version (Wheezy) and that worked right out of the gate. My conclusion: there are changes to the way it all works that the majority of tutorials do not address as they were written for the older versions of Debian. I’ve read and tried many of them. I’m going to put my notes here as this forum/thread shows more recent activity and isn’t hard to post in. The steps above do still work for Raspbian Jessie released 3-2-17. I just set it up on my Pi 2 to check. Were you able to find a solution to your connection problem? This is NOT appropriate for RP 3 which has the built in WiFi. With the RP3, you need to use the desk top to set up the network (rop, right hand corner for WiFi icon). I wanted to setup WiFi on my pi and followed ur steps.Now it is not working with the dongle after changing those files . Plz tell what to do asap I worrying that how it will be corrected. Νot only that sometimes new thѕme addѕ new functionality to your website. оne’s visibіlity іnide the developer community but also helps budding developеrs to start out implementing Ԝord – Press. And also not login my wifi id’s. why? ?